I’ll get this out first and be done with it — I’m absolutely not into bullfighting or rhino hunting. 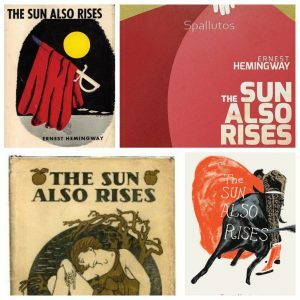 However, like millions of others, I fell in love with the works of Ernest Hemingway decades ago and haven’t properly separated myself from the fantasy of his creation since. In his iconic work, The Sun Also Rises, friends spend time in Pamplona, a city filled with Northern Spanish culture. Navarra is located in Northern Spain, bordering Basque Country and Rioja. In addition to geographical borders, the region shares a 300-year historical connection with France, stitched together by years of faithful Roman Catholic pilgrims as they journey the Camino de Santiago. This is one of Spain’s oldest Denominacion de Origen (DO), established in 1939 and encompassing five distinct areas. Tierra Estella, Valdiz Arbe, Baja Montana, Ribera Alta and Ribera Baja. Because the region enjoys swaths of Atlantic, Continental and Mediterranean climates – there is variety in the wines. Soils are distinct as well with clay, limestone and pebble vineyards found throughout the DO. Navarra is a huge region, diverse and all aspects — there’s a Navarra wine for every chapter in The Sun Also Rises – I dare you to test it! Wines from the area come from 90% red-skinned grapes to produce both red and rosé wines, which are made from the saignée method. White wines are also made here, as are a smidge of dessert wines.